On Thursday, as the head of the Centers for Disease Control and Prevention (CDC) testifies before Congress about the potential failings in the recent response to a case of Ebola infection on U.S. soil, much of the country is in panic mode. An increasing number of lawmakers are calling for a travel ban to the affected countries in West Africa, and some school districts are canceling class over fears that students will contract the deadly virus. Some observers have noticed that the national response to the Ebola outbreak — which is ravaging several impoverished countries in West Africa, but which doesn’t pose much of a threat here at home — has been disproportionate compared to how the U.S. reacted to the recent spread of other infectious diseases. In his interview with the newspaper, Mulbah suggested it’s because countries like Liberia don’t have the same political or economic clout as countries in Europe or Asia. That’s certainly true. On top of that, however, there’s another dynamic that’s been gaining increasing attention over the past few weeks: The undercurrent of racial stereotypes and prejudice. Thanks to Ebola, some xenophobic attitudes have been on full display recently. Last month, a cover of Newsweek used a chimp to illustrate a story about how bush meat imported from Africa could be a “back door for Ebola.” Lawmakers have suggested that Ebola-infected people may stream across the Mexico border. A community college in Texas stopped accepting perfectly healthy students of Nigerian and Liberian descent. Liberian immigrants who live in Texas are getting refused service at restaurants. There are a lot of comparisons being made to AIDS, the last scary disease to come out of Africa that gave rise to similar racial fears and stereotypes. Plus, there are some very basic racial factors at play. The vast majority of the people who are suffering and dying from Ebola are black. The handful of people who are being flown to the U.S. to receive care at top hospitals, given an experimental Ebola drug, and ultimately recovering from the virus are white. This dynamic was not lost on the family members of the first person to be diagnosed with Ebola in the U.S., a Liberian man named Thomas E. Duncan. Along with the Rev. Jesse Jackson, they have criticized the Texas hospital where Duncan was treated, saying he received substandard care because he was a black man and an immigrant. Not everyone agrees with that assessment — particularly conservative media outlets, who were quick to mock a CNN anchor who suggested that Duncan’s accent and ethnicity may have influenced hospital staff’s immediate response to his illness. But Duncan’s individual case isn’t necessarily the issue. It’s one data point in a much larger historical context of racism, xenophobia, and stoking fears about Africa. There’s a long history of treating Africa like a dirty and diseased place, as meticulously documented in a Washington Post piece published at the end of August. This history can be traced through colonialism, slavery, and racist imagery portraying Africans as savages or apes. While Americans frequently associate immigrants with diseases — there have been plenty of examples of that dynamic in the debate over the migrant border crisis — research has found that type of xenophobia is even stronger against African immigrants than it is against people from Europe or Asia. So, it’s perhaps not surprising that the current coverage of Ebola is setting up the type of clear “us versus them” narrative — privileged versus disenfranchised, Western versus African, and white versus black — that often emerges in the moral panic over diseases. Particularly in cable news discussions about the imperative to seal our borders against the impending threat of the virus, the people who have Ebola are being framed as the “others.” And from that perspective, the outbreak only matters in terms of how it impacts Westerners. “When the Centers for Disease Control and Prevention confirmed that Ebola had crossed into the United States, carried on the body of a black man from Liberia, the threat of infection was suddenly perceived as quite real,” Stassa Edwards wrote on Jezebel this week. Meanwhile, as the headlines are dominated by the latest updates on the two Americans who are currently infected with Ebola, thousands of African people have died from a disease that their governments are not prepared to combat. Groups like Doctors Without Borders have been begging for more outside assistance for months, but the help hasn’t come fast enough. The United Nations’ newly-created Ebola fund is already running out of money. The slow international response is another example of racist attitudes, according to Dr. Joia Mukherjee, a professor at Harvard Medical School and the chief medical officer at the nonprofit Partners in Health. 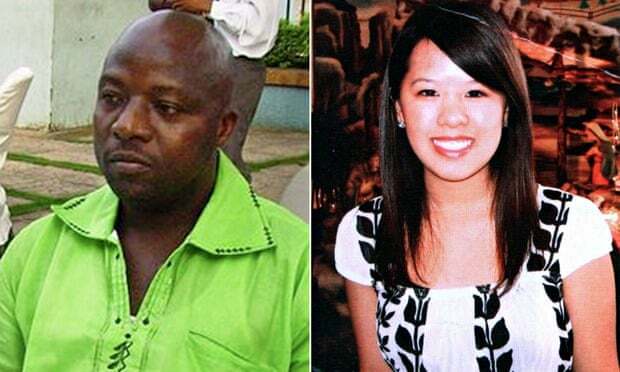 homas Eric Duncan, the first person to die of Ebola in the United States, was not the right kind of victim for the west: he wasn’t a pretty young woman smiling in sunglasses as a Cavalier King Charles spaniel named Bentley licks her cheek; he didn’t have a young, benevolent doctor’s face that looks “appropriate” plastered on newspapers; he wasn’t a kindly older nurse who told reporters how God had spared her. He wasn’t the kind of person to whom primetime news specials would dedicate 20 minutes and glorify with quotes from loved ones about his kind spirit or ceaseless determination to overcome an unfair affliction. Thomas Eric Duncan was black, he was poor, and he was African. A Dallas hospital turned away the uninsured Liberian immigrant after an initial exam concluded he suffered only from a “low-grade viral disease”, and the media turned him into the unsympathetic, undeserving face of a contagion with which the west is frantically grappling. He – and the West Africans to whom he is tied by both birth and cause of death – have become nothing more than disease vectors responsible for infecting innocent western health workers, tarnishing pristine nations by importing the blemish of an African scourge. And yet, American citizenship alone does not sanitize the blight of blackness; Amber Joy Vinson, the second healthcare worker diagnosed with the virus, is already being met with scrutiny as Nina Pham’s quarantined dog receives an outpouring of support. Ebola now functions in popular discourse as a not-so-subtle, almost completely rhetorical stand-in for any combination of “African-ness”, “blackness”, “foreign-ness” and “infestation” – a nebulous but powerful threat, poised to ruin the perceived purity of western borders and bodies. Dead African bodies are the nameless placeholders for (unwarranted, racist) “panic”, a conversation topic too heavy for the dinner table yet light enough for supermarket aisles. But we will still write off the “Africa patient” who infected a hospital in Spain and not bother with silly things like geographic specificity. We will breathe a sigh of relief when we remember that the Spanish priest infected in Liberia was afforded access to an experimental drug though West Africans were not; after he died, we wondered aloud whether Africans even deserve Christianity. We will tweet about how much more terrifying Ebola is than black-eyed ghost children. We will make sure to specify that alcohol, not Ebola, killed a British man in Macedonia. We will suggest that Ebola is so common among West Africans – even the ones who make it to New York City – that it might as well be part of the weather forecast. We will not mention that Nigeria hasn’t had a live case in six weeks. We will try to hide our fear behind jokes with dying black bodies as their punchlines. We will “self-quarantine”. We will dedicate Reddit threads and Twitter accounts to our Ebola “jokes”. We will giggle at our Ebola memes. We will suggest that perhaps Ebola is really just the Isis of biological agents. And when this is all over, we will move on and find a new reason to weaponize black suffering to account for our unshakeable fear. There will always be a new emergency, a new threat, a new reason that black bodies cannot be allowed to infiltrate the borders of nations that our blood and sweat have built. Black death is remarkable only to the extent that its perpetrator could also affect citizens more deserving of sympathy, of news coverage and of life. We are comfortable with viruses that ravage entire communities, so long as those communities do not look like the ones we believe are deserving of health. Black bodies exist only on the receiving end of apocalyptic fanfare like airport screenings designed to weed out Ebola carriers (with dubious success) or excessive, deadly force from police that claim to protect and serve all people. Africa exists only in stark contrast to the civilized west, where disease and disorder must be contained to preserve health and hierarchy. To be black – African or otherwise – is to be born into a world that anticipates your death with bated breath (or botched execution cocktail, or vigilante bullet, or syphilis needle). It is to occupy a position of social death, to exist in a liminal space that guarantees neither rights nor recognition under the law. It is to be a perpetual contaminant in the body of the western world. ← Was the wife of the former President of the Confederacy of mixed race? The rasicm does not begin with the response, but with the Fuggers who engineered the disease.